Crystal Groves, of Reviews, Chews and How-Tos, has done a review and is hosting a giveaway of products! Follow the link to sign up for the giveaway!!!! I have great skin. I get compliments on it all the time. 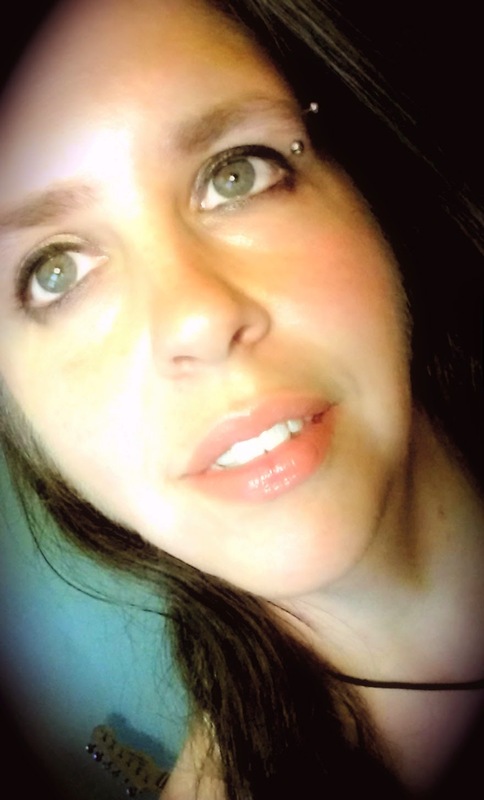 I’m also a naturalist and prefer to use as many organic products as possible to ensure I’m getting the most raw and “down to earth” ingredients in and on my body as possible. That said, I do suffer from a mild form of psoriasis, I have since my pre-teen years. I was able to get rid of the one patch I had by doing a diet change to the paleo diet, but then I contacted some poison ivy on my leg and there grew another patch of psoriasis. So I have to keep an eye on the products used on my skin, so as to not irritate this psoriasis. 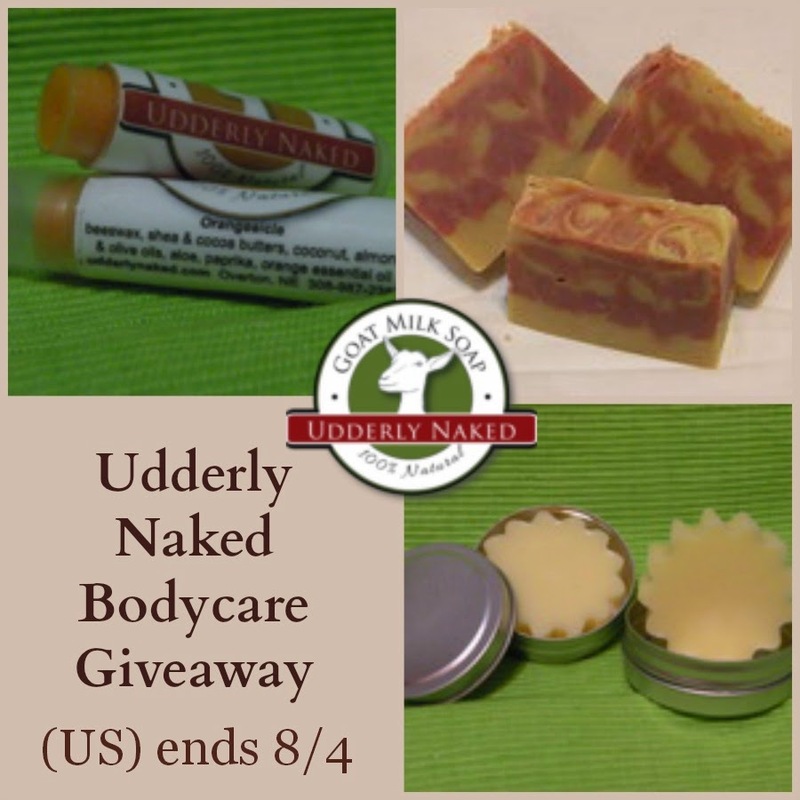 When given the opportunity to try out some of Udderly Naked’s soaps, I was very excited. Not only to try out a new hand-made product, but one made from goats milk. My package arrived in a plain brown box within 2 days of being shipped off. They are usually shipped within 24 hours of ordering, and Wendy even sent me a bonus gift to try out - her rash cream for my psoriasis. My favorite product by far was the Passionate Pink Lip Tint, a mixture of bergamot and vanilla scent infused in beeswax, shea & cocoa butters, coconut, almond oil, argan oil, kaolin and vitamin E.
I wasn’t sure what gave it the subtle pink color, as the ingredient list doesn't indicate that, but the brochure provided gave me a more in-depth list of ingredients and it appears to be a pink clay for pigment. It is a great color to wear to work when you don’t want a loud bold lip tint, which is great for someone like me who has big lips. The texture is very soft and creamy, doesn’t clump up or feel awkward on your lips. The scent is gentle and pleasing and it conditions my lips to keep them soft throughout the day. As for the Cocoamint Soap, this is a pretty stout bar. It lathers well and smells just as advertised, like an Andes mint candy. The scent is not overbearing in the shower at all and it cleans very well. The colors are a mixture of brown and green, almost camo looking. This soap is a mix of cocoa butter, olive oil, coconut, palm, grapeseed and palm kernal oils, parsley, cocoa powder and peppermint essential oil. Definitely a yummy scent that made me want to eat it. I made the mistake of opening the Rash Away Cream sideways, thinking it was more of a solid cream, and instead it was very liquidy which meant a quarter of it spilled onto my deck. But once I figured that out I was able to try it out. This mixture of coconut oil infused with calendula and chamomile, shea butter, cocoa butter, zing oxide, aloe, neem, hemp and jojoba oils is a blend of skin softening bliss. 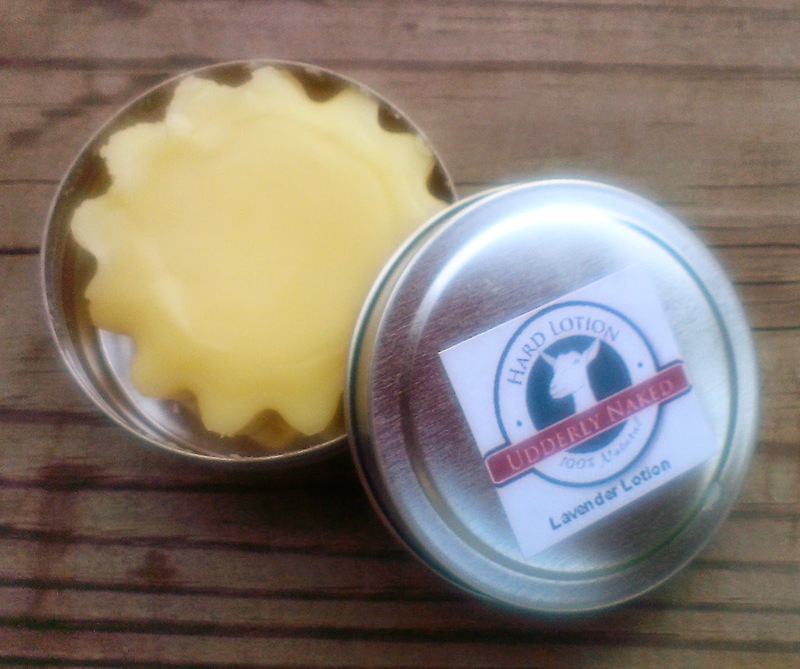 The scent is strongly dominated by the shea butter, which is fine with me because I love the scent of shea butter. It’s very liquidy, but smooths on nicely. I tend to use a lot of it directly on my psoriasis to help with itching and to put something on for the night before going to bed. The last item on my list was the Lavender Hard Lotion, which came in a nice tin with a cute little star shape. I love the scent of lavender, especially for cleaning or before bed to help me rest. Made from beeswax, cocoa & shea butters, argan, almond, avocado, coconut, sunflower, palm kernal oil, lanolin, vitamin E, and aloe, this is a sure-fire punch for skin health and moisture. I prefer using this before bed for the calming affect of lavender scent, though you can catch notes of the shea butter scent as well. 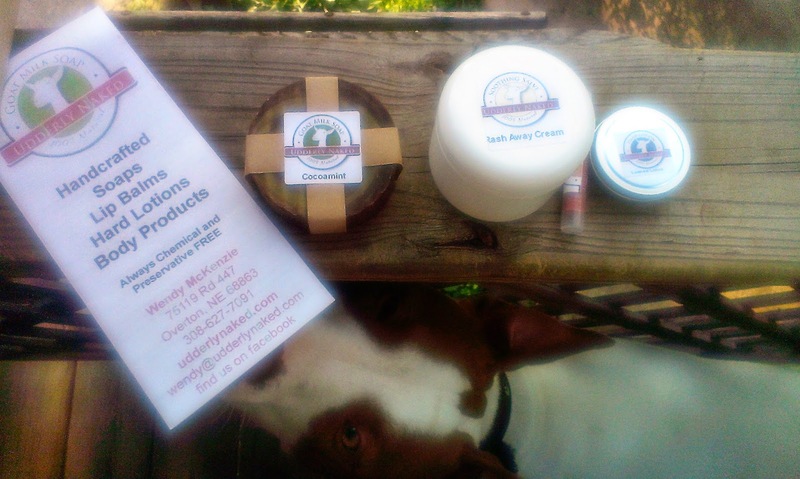 The prices range from $10 for the rash cream, $3, $5 or $10 per hard lotion bar depending on size, to $2.50 per lip balm. For that, you are paying for all natural hand-made ingredients, and some of the ingredients used are rich compared to mass marketed substitutes. The containers are also very nice reusable containers. These products are made by hand by an independent artisan, and the scents are great! Some other scents that she sells that I would love to try are the Oatmeal & Honey soap, the Cocoamint lip balm, and the Chocolate Kiss lip tint. To share in this beauty glory, we are offering a give-away of some free beauty swag for any U.S. customers!